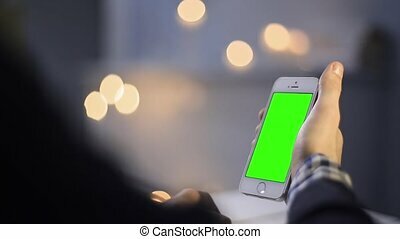 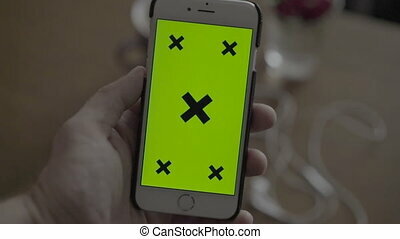 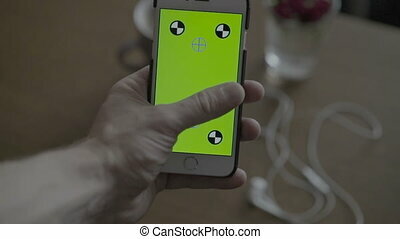 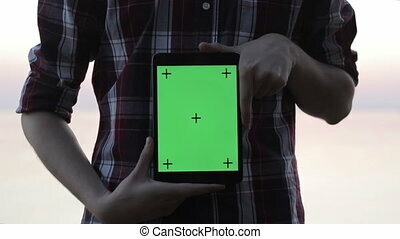 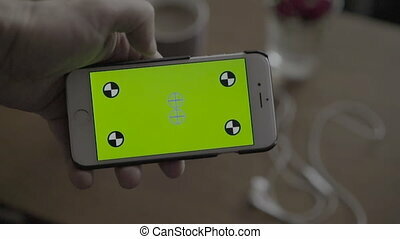 Man holding a smartphone with green screen. 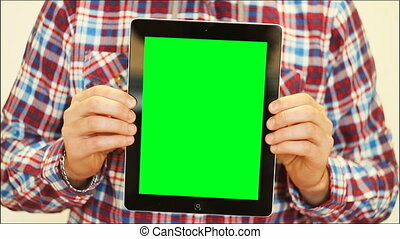 Man holding a smartphone with green screen. 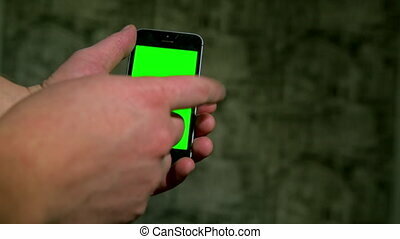 Man Holding A Smartphone With Green Screen. 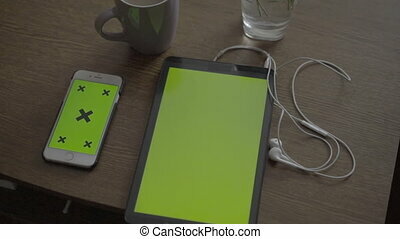 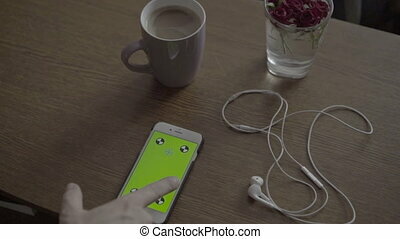 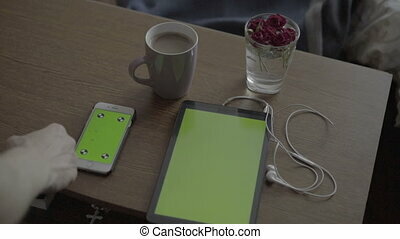 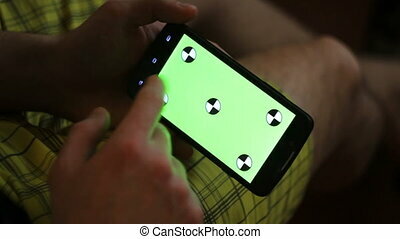 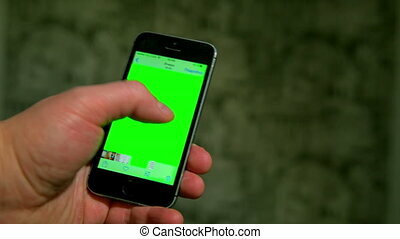 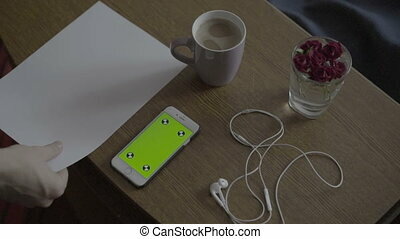 Man Working with Green Screen Smartphone.